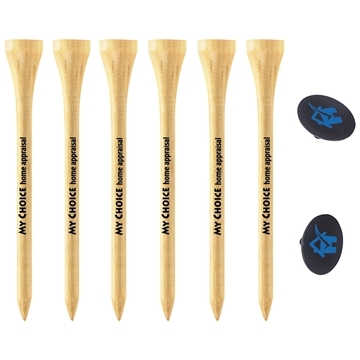 Materials: Tees: wood, Quarter Marks: plastic. For the cost of the product, the quality was superb. I'd the product was extremely effective, ordering was easy, and also the shipping was quick. They turned out great along with a really reasonable cost to ensure that money can buy to provide appreciation gifts towards the employees. the service at AnyPromo was phenomenally good. they were professionally done!